Get the best website vulnerability scanner to protect your website. The website security scanner scans your website daily checking for malware. Scanner options include Firewalls for an extra layer of protection from hackers, and CDN’s to speed up page loading times. The scanner is powered by Sucuri, most trusted name in website security scanning, to help keep your site clean and secure. Help! Fix my site NOW! Malware doesn’t care if your website has 10 visitors a day or 10,000. It will be glad to take over any vulnerable website it can find. When malware strikes, it’s typically done by “bot”, an automated program searching for vulnerabilities in websites. Once they take control they can not only bring your website down, they can redirect your visitors to a phishing website to further infect your visitors computers. When malware hits a website it not only affects your website, but it affects your brand that you have been building since inception. Don’t get a website malware scanner because any of this scares you. Get a one because if something did happen, your website is more prepared to deal with the outcome. Relax, and know you are protected. The website malware scanner is easy to use. The scanner will run each day scanning your website. If any issues are found, you are sent a notification email. You can open up a security issue ticket and our automated removal tool takes care of it. It there’s a bigger issue the automated tool can’t handle, then our security experts are always available 24/7 to remove any threats until they are gone completely. Adding a Firewall with our Deluxe and Express plans gives you an extra layer of protection. Websites that sit behind a Firewall make it more difficult for hackers and automated bots to gain access to your website’s file system. Malware is broad term that covers viruses, worms, Trojan horses, ransomware, spyware, and more. Malware can erase all your data, steal customer information, and infect your visitors and the threats are always changing. Brute Force attacks are when a program iterates through every possible password combination along with trying all the most heavily used passwords. Once the hackers gain access to your website they can do anything they want with your website. They sit, hide, collect data, redirect websites to phishing sites, or just bring down your entire website. This attack can bring down your site by overwhelming it with a flood of automated traffic. And every minute your site is down, you’re losing customers and sales. Our advanced security monitoring and Web Application Firewall (WAF) prevent this type of attack. Injection hacking is when a data is forced into your website via the address bar with script code to exploit vulnerabilities. Once they get in they have full access to your websites database with all of your customer info. Typically abbreviated as XSS, this attack sends user-supplied data to a web browser without validating it first. Hackers use these flaws to hijack users away from the site or deface it, costing the site owner to lose business. *Not included in Essential plan. Once you set the schedule for your scanner, it runs automatically based on those settings. Each time the scanner runs it checks for malware, blacklists, and uptime of your website. This frees you up from needing to check if your website is still active. If any problems are found, you’ll get an email alert to let you know the best course of action to take. If malware is found, all you need to do is submit a removal request, and our team of experts will work on finding a resolution. All while checking for malware, the Website Malware Scanner protects your website rankings by checking various blacklist and will send you a email to let you know your website has been placed on one. What is the best product if my website is already hacked? If you website is currently hacked, you want to get it up and running as soon as possible. The Website Security Express plan is want you want to select. Once your product is activated, you will need to request a cleanup from the Website Security dashboard. Your request will be responded to within 30 minutes. At that point our security experts diagnose the problem and clean your website 100%, guaranteed. We also submit a request to Google to re-index your site and remove it from any blacklist. Click here for pricing. Does Website Security work if my site isn’t hosted at Silver Knight Domains? What is the difference between Essential, Deluxe and Express? The Deluxe plan includes the same scanning and guaranteed cleanup, but it also places your site on our world-wide server network (CDN), which means your site is ‘close’ to anyone who visits and therefore loads faster all over the world. Deluxe also includes an additional layer of security, Firewall (WAF) protection, which blocks any traffic that it deems suspicious or dangerous. The Express plan is for when your website is currently hacked and you need your website fixed ASAP. It also includes everything from the Deluxe plan, but with a faster response time of 30 minutes instead of 12 hours. 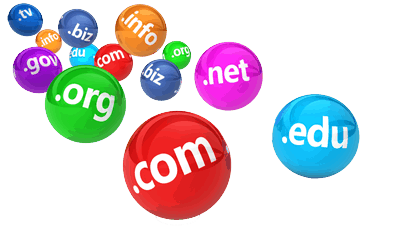 Website Security backs up any files that are modified during the cleanup process. They are held for a short amount of time and later discarded. If you want long-term back up solutions, see our Website Backup plans. An SSL Certificate only encrypts data being sent to and from your website. 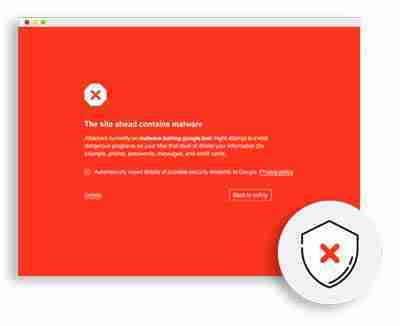 It does not protect your website from other vulnerabilities, such as malware, SQL injections, Blacklisting, or DDoS attacks. You want to have an all encompassing security solution by having both an SSL Certificate and Website Security, and don’t forget about backing up your website. They each do their own specific security related tasks. Still not sure if you need a Malware Scanner? Do you have other Questions about Malware Scanners?